If you own a 1998 to 2006 Mercedes with a V6 (M112) or a V8 (M113) engine this is one job you will have to deal with at some point. Just pull the top cover off your engine and look. Even cars with low mileage may have oil seeping out the breather covers on the top of the heads. Doing a proper reseal on these covers is not hard but it is tedious if you don't want them to leak again. But, when you go to remove the covers the smaller bolt hold them to the valve cover you will find they are made out of aluminum. You have to be careful when removing or they will break and you CAN NOT use them again. Mercedes recommends replacing them with stainless steel bolts to prevent corrosion on the magnesium covers. DO NOT USE STEEL BOLTS. A repair you REALLY want to do yourself to get it done right! If you own a 1998 to 2006 Mercedes with a V6 (M112) or a V8 (M113) engine this is one job you will have to deal with at some point. Just pull the top cover off your engine and look. 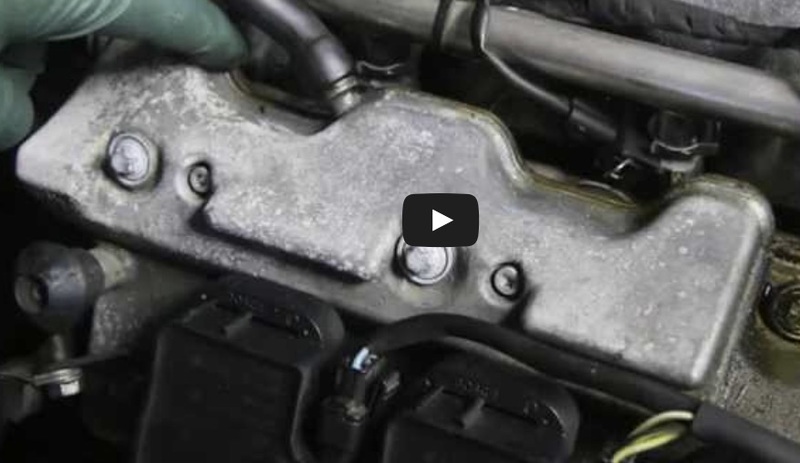 Even cars with low mileage may have oil seeping out the breather covers on the top of the heads.